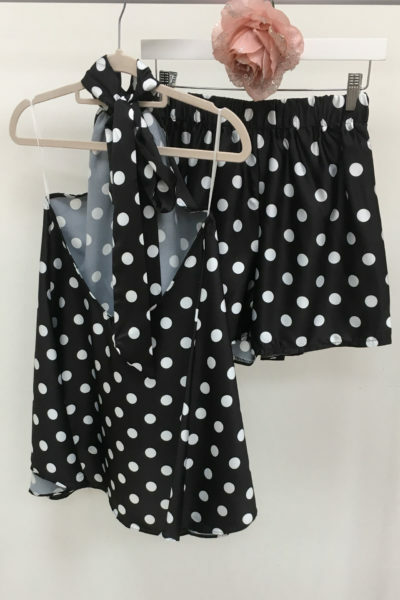 Polka Dot Co-Ord Short Set – our gorgeous BEST SELLER co-ords are back! Silky fabric and various printed designs. Halterneck backless top with matching shorts.